The Premier Boys Lacrosse Travel Program in the Greater DC area & one of the Most Competitive in the Nation! 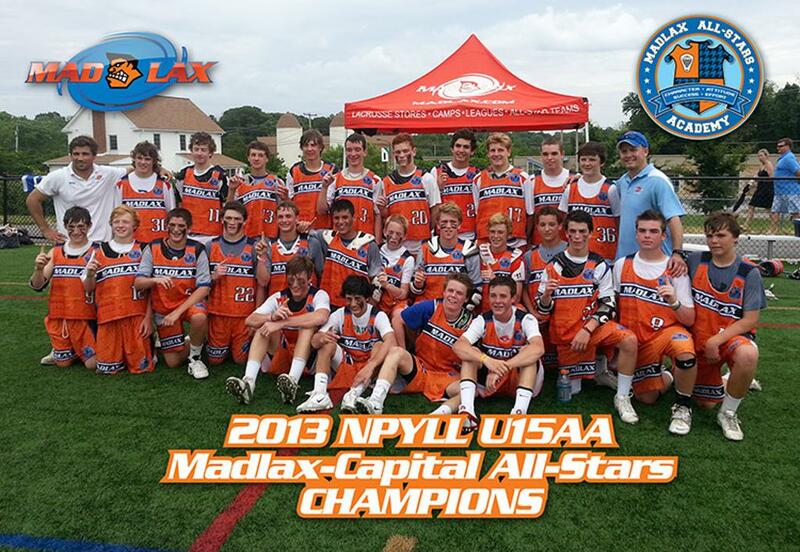 Madlax All-Stars Academy is a Comprehensive Elite Lacrosse and Character Building Program. The spring season is Mar 2-May 19, 2019. We will have open tryouts for new players in early March. New Players are welcome to tryout if you are in 2nd through 8th grade. Practices start right after tryouts. In March practices can be any day. In April & May, practices are almost always Tuesdays & Thursdays but some teams will have an occasional Saturday. League games are Sundays for 2024-2029 and Saturdays for 2023. March pre-season play days and/or scrimmages are March 10 & 17th. The 1st league games of the season are March 24 and continue every weekend except Easter weekend. 23DOGS, 24CAP, 27CAP & 28CAP are off 3/20-27 and have first games on 3/30-31. Please schedule spring breaks accordingly so you do not miss games. Championships and Semi-Finals are May 18-19. Be sure to be in town and ready BOTH days! Find Each Specific Team Page for every Madlax Team linked HERE. If you would still like to register late and tryout please email cab@madlax.com requesting a late tryout. We still can evaluate players in upcoming practices. In the spring all players (new and returning) must attend all tryouts for their grade. We will create either 2 teams per grade. Ideally, we will have one Madlax-Capital and Madlax-DMV team per grade. Registration and talent at tryouts will determine the teams. The best players from Maryland, Virginia & DC will be invited for Madlax-Capital which is a AAA level team and one of the best teams in the nation. Most DMV teams are A level teams and some, like 2024 DMV are AA, and one of the best teams locally. Madlax-Capital & DMV will generally practice together at the same grade at the same time and place. Games and tournaments will be separate. Invites for Madlax-Capital Start January 1, 2019 for current players and continue after tryouts for "NEW" players until Madlax-Capital rosters are full. DMV players are often "called up" throughout the year! Madlax-Capital players can be moved to DMV as well at any point. These decision are made by the Madlax Coaching staff weekly and will all be based on skill, attitude, commitment and passion. Spring 2020 Madlax All-Stars Gear! Helmets or Wraps Required! Click to see ALL All-star Gear.